Shifting from working for an employer to self-employment can be tough financially, because the burden of setting up a lot of the “financial tools” for your future shift to you. When you work a job, your employer takes care of your insurance (or at least offers you options), and your retirement is typically through company-sponsored 401(k)s or maybe even a pension. Now, once you become self-employed, you have to do it yourself. Setting up these accounts was one of the biggest issues facing bloggers when I asked them how to become self-employed. 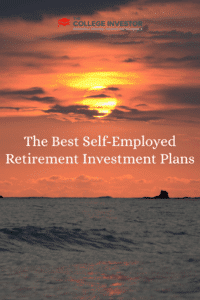 The nice thing is, there are a lot of options when it comes to self-employed retirement plans. No matter your situation, there is probably an option that will work well for you. The SEP-IRA is the go-to retirement savings account for one-man businesses. If you’re a self-employed entrepreneur, this can be a good choice for you. You can contribute up to as much as 25% of your net income, up to a maximum of $49,000. The great thing about this is that, like any other IRA, you have until April 15 to fund your account. That means you can file your taxes and make a larger contribution to trim your tax bill. Another huge plus is that contributing to a SEP-IRA won’t interfere with your contributions to a 401(k) plan. That means if you’re starting your business on the side while working full-time, you can still take advantage of your employer’s plan while building your own business. The only drawback to the SEP-IRA is if you ever hire employees. The IRS views the money you put into the SEP-IRA as an employer contribution, so if you hire workers, you have to contribute the same amount to their SEP-IRAs too. However, for the solopreneur, this doesn’t really matter. The Solo 401(k) can be a good choice for business owners who have significant earnings they want to save. With a Solo 401(k), as an employee, you can save $16,500. Then, as the employer, you can contribute another 25% of compensation, up to a maximum of $49,000. Then there’s the catch-up contribution if you’re 50 or older, which is another $5,500. That means you can save a total of $54,500 in a Solo 401(k) per year. Because of the high contribution limits, this plan is best for entrepreneurs who make a lot and are able to save it. There will typically be fees associated with setup and annual maintenance, but they’ll be low for a small business or self-employed business. Also, just like a regular 401(k), you can always borrow from your Solo 401(k), although it’s not recommended. The biggest drawbacks of the Solo 401(k) are that only the self-employed business owner and a spouse can participate, and if you have a 401(k) at your nine-to-five job, you may already be contributing the max. The IRS limits apply to all 401(k) contributions, so if you’re depositing $16,500 at work, you can’t deposit any more being self-employed. Finally, the third option is the SIMPLE IRA. This is also known as the Savings Incentive Match Plan for Employees. This is the ideal plan for businesses that have employees and want to offer them a plan as a perk (that you can also possibly take advantage of). This is designed for small businesses, with a mandatory limit of less than 100, but ideally less than 10. You can make contributions of up to $11,500 pretax, or $14,000 if you’re 50 or older. There aren’t any income restrictions, and your contributions are tax-deductible. Inside the account, your investments grow tax-deferred, just like any other IRA. As the employer, you’re generally required to match the employee contribution up to 3% of the employee’s salary, dollar for dollar. This can make it burdensome for small firms. You should also note that this plan isn’t for side jobs. You can’t contribute to the plan if you’ve already maxed out employee contributions to a 401(k) at your day job. Remember, when it comes to these types of accounts, you should consult both a tax advisor or accountant and a financial planner. These accounts come with serious tax implications if not set up correctly (and huge benefits if set up correctly), and they may also require different types of paperwork. You can open any of these accounts at a discount brokerage, including my favorite discount brokerages. Plus, both Scottrade and TD Ameritrade will offer you assistance in setting up your accounts for free. 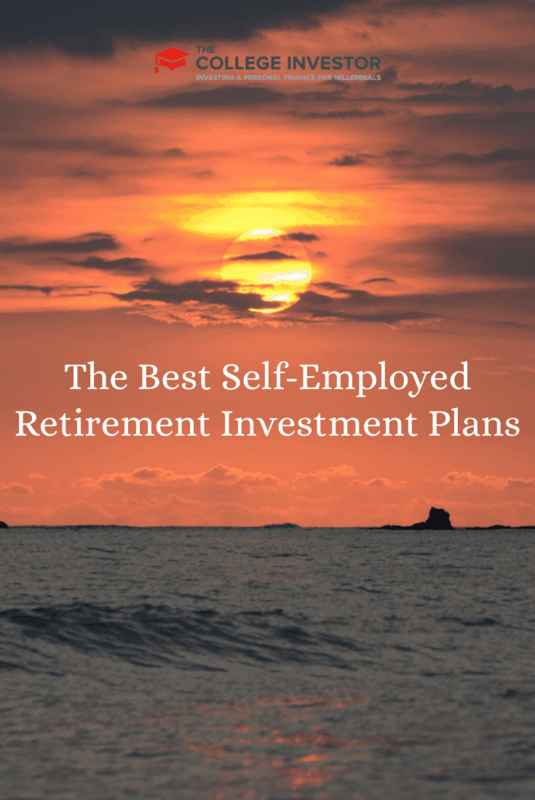 Which do you think is the best self-employed retirement plan? Do you have experience with any of these? This is something that has been on our minds since taking the leap last year. I hated giving up that 401k match, but it’ll be worth it in the long run. In terms of what is best, I really think it comes down to your vision for the business and where you see it growing. If we do hire someone, it’ll likely be on a freelance basis so I am not certain how that would apply to IRS rules. We’re going to be setting up our retirement plans here in the next few months and are leaning towards either a SEP or solo 401k, which is likely best for a one man shop small business. I love the contribution limit on the SEP, so it’ll be hard to turn that down. I currently have a SEP IRA. I enjoy having it and haven’t really noticed any negatives so far. If you have a Solo 401(k), you can also do a back-door Roth IRA, which you can’t do if you have a SEP IRA. You can save the same amount with a SEP IRA and a Solo 401(k), actually–$51k. You CANNOT make employer contributions on the employee contributions to a Solo/Individual 401(k) account. Employee contributions reduce total compensation, so if you max out your 401(k) as an individual (which is $17,500 this year, not $16,500) before taking a cent of salary, the salary from which the employer’s contribution is calculated is $0. The net compensation for self-employed individuals is the net profit from Schedule C minus half the self-employment tax–as you see, that comes AFTER individual 401(k) contributions. Both of these options become thornier if you have employees, though, because you must do the same matching for them. However, nothing keeps them from taking money out of their 401(k) or IRA, so you can make it clear that this is part of their compensation and they’ll have to decide how much to leave in! I just opened my first roth IRA. I live internationally, and my employer does not offer retirement plans, so I made it a goal that before I turned 26, I was finally going to open my retirement account. I’m hoping to max it out this year, and I’m looking into other ways to create retirement savings, so this post was very helpful!